Ernest Shackleton sailed to the South Pole as the First World War broke out in Europe, intent on making the first ever trans-Antarctic crossing. South! 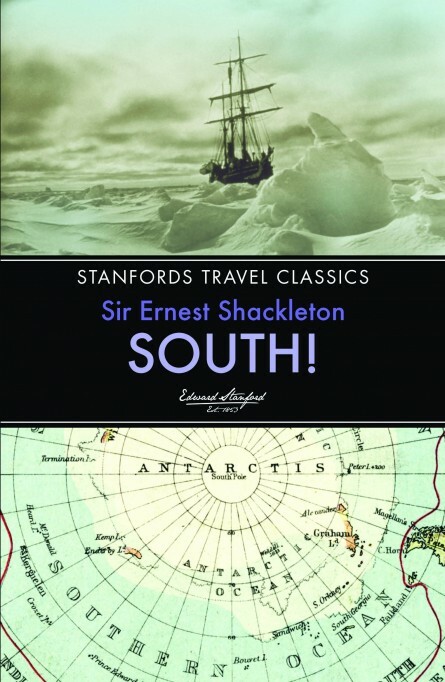 is Shackleton’s first-hand account of the epic expedition, which he described as ‘the last great journey on earth’. During the journey their ship, the Endurance, became trapped by ice and was crushed, forcing the men to survive in and escape from one of the world’s most hostile environments. With no hope of resuce, Shackleton and four others set sail in a small open boat on a 600-mile crossing to South Georgia. Shipwrecked on the uninhabited side of the island, they were forced into making the first ever winter crossing of the island, all the time threatened by brutal cold and hunger. South! made Shackleton’s name as an explorer. The dramatic story, one of the most astonishing feats of Polar escapology, remains as enthralling as when it was first published in 1919. Size 198 x 129mm / 7 ¾” x 5”. Extent 316 pages.